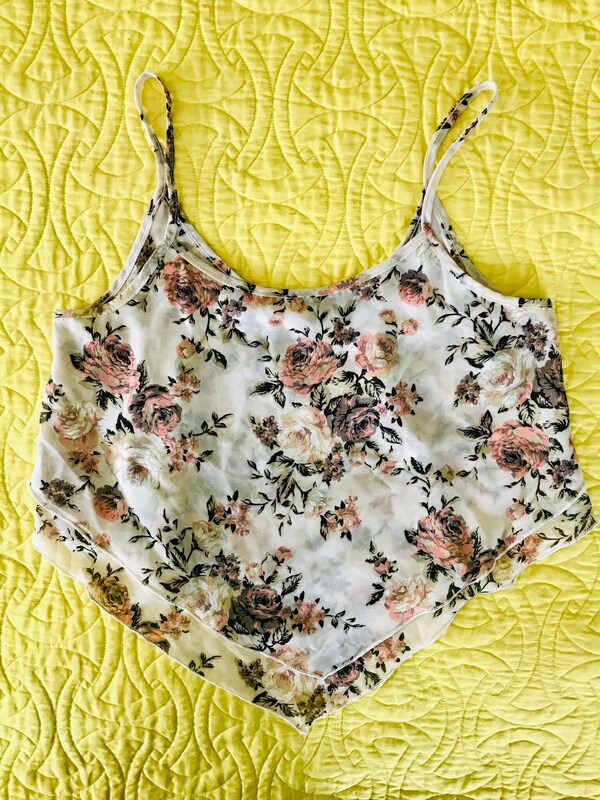 Lightweight chiffon floral crop top with flattering front v cut. Gals small. Measurements taken flat: bust 18, length at the sides 16, length at middle of neck to the v 23.